Meetings & Conventions is the leading multi-platform brand for dedicated meeting and business event planners in corporations, associations, incentive houses and independent planning companies, helping them excel at their jobs and effectively manage their careers. 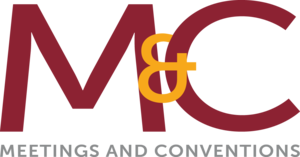 M&C provides authoritative news analysis, research and guidance to meetings professionals who rely on it for new ideas and ongoing education to remain competitive. Through its rich portfolio of data, digital, events and print products, M&C brings buyers and sellers together for lasting business relationships.